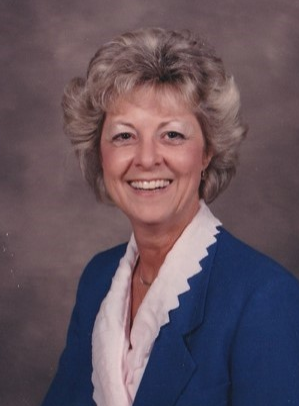 Evans- Mrs. Montene Bland Dozier, 79, entered into rest Tuesday, April 2, 2019. A memorial service will be held at 12:30 p.m., Sunday, April 28, 2019, at Shiloh United Methodist Church, with Rev. Shirley Suarez officiating. Visitation with the family will follow the service. Mrs. Dozier was born in Jennings, Fl., grew up in Clyattville, Ga., and lived and served as an Educator in Albany, Valdosta, and Columbia County. She was a member of the Georgia Association of Educators, a member of the National Association of Educators, and the Red Hat Society. She was preceeded in death by her husbands, Maurice Edward Tennille and Joseph Sibley Dozier, by her parents, Timothy Earl Bland and Louise Herndon Bland, and by her brother, James E. Bland. She is survived by a sister, Milbrey Jones (S.L. ), Quitman, Ga., a brother, Doran Bland (Peggy), Clyattville, two children, Tony Tennille, Lavonia, Ga. and Pamela Lynn Tennille Moore (Berry), Martinez, Ga, stepdaughters, Beverly Hardaway (Robbie), Cynthia Armstrong (Scott), and Jennifer Chen, all of Appling, and 9 Grandchildren and 9 Great- Grandchildren. The family wishes to thank the entire staff of Brandon Wilde Arbor and especially to Ms. Carrie Serigney, her loving caregiver and friend for these many years. Friends may call at the Curtis Funeral Home. The family will receive friends following the Memorial Service.